Ohio Disorderly conduct is listed among “offenses against the public peace” under Ohio law. Disorderly conduct is not usually considered a serious crime, but in some cases it can carry jail time and a significant fine. Still, if you are facing charges for disorderly conduct in Ohio, it is no laughing matter. Even if you feel you are wrongly accused, it takes a good lawyer to prove that to the judge. And remember, a criminal record, however petty, can stain your reputation and make it difficult for you to find future employment. Call Attorney Adam Burke now at (614) 280-9122 for your free consultation. Fighting, threatening to harm a person or a person’s property, or engaging in violent behavior. Disorderly conduct is a minor misdemeanor in most circumstances. For a minor misdemeanor, you have to pay $150 in fines, with absolutely no jail time. If you have been arrested for disorderly conduct, it is in your best interest to hire an attorney so that your know your rights and options in this situation. An experienced defense attorney will make every effort to help you avoid the most severe penalties. 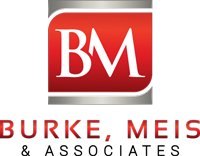 Contact Burke, Meis & Associates for your free consultation at (614) 280-9122.